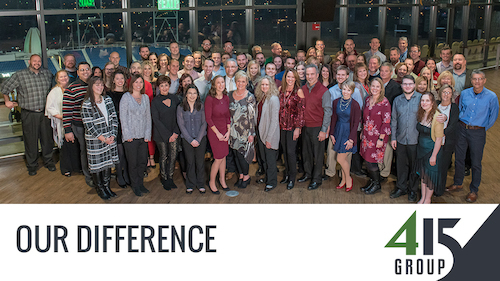 We're often asked the question, "What makes 415 Group different?" To us, the answer is simple: our people, our solutions and our community. Thinking about applying for a position with 415 Group? 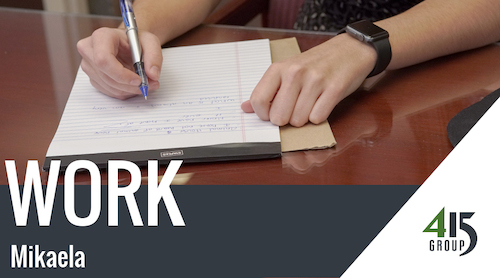 Watch these videos to learn what it's like to work at our firm. "It's a really tight knit crew. These are people you admire as coworkers, but also like hanging out with ... They're fun. They're cool." Kelby Kraft: "I moved here from New York, and I love the area. It's got everything I need, plenty of opportunities. A great home base to pursue my career." Kelby Kraft: "One of my favorite parts of interning here was getting the chance to work on all sorts of accounting. At other firms, you might only do one thing. That's not for me." 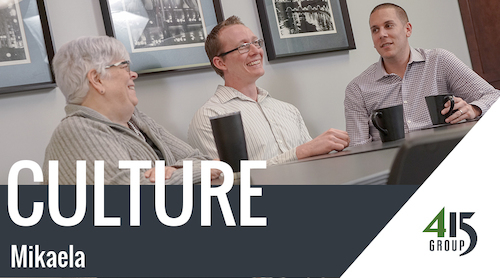 Mikaela Raydo: "Another thing I love about 415 Group is the firm culture. You're part of a family here. Everyone has your back, and they're looking out for you." 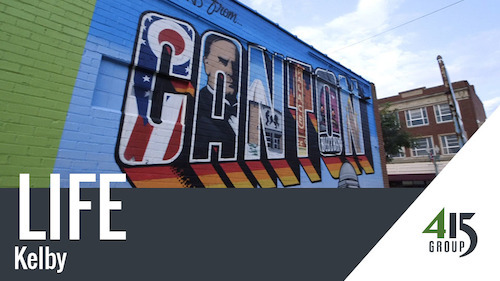 Mikaela Raydo: "I think Canton is the best of both worlds. There's so much to do here, but the cost of living is low. I can't imagine living anywhere else." Kelby Kraft: "Knowing you have a great support system here makes you feel secure. Everyone wants you to succeed. They push you to be better." Mikaela Raydo: "I don't know of any other firm where you get to work with the partners as much as you do here. To me, that face time is super important." Interested in accounting services or business consulting services? 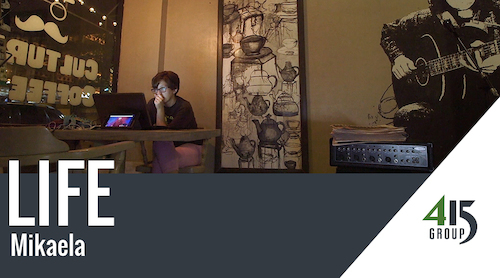 Watch these videos from satisfied clients to see examples of our work. Stephen Yoder, president of Stark Truss, says 415 Group does more than just crunch the numbers. 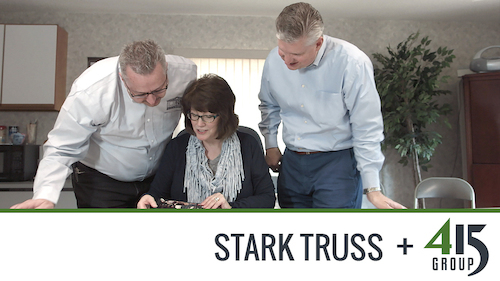 They helped his family-owned company make a smooth transition of ownership through proper succession planning. 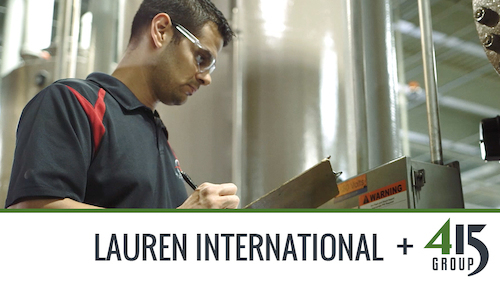 Kevin Gray, president and CEO of Lauren International, says 415 Group truly cares about his organization’s success. 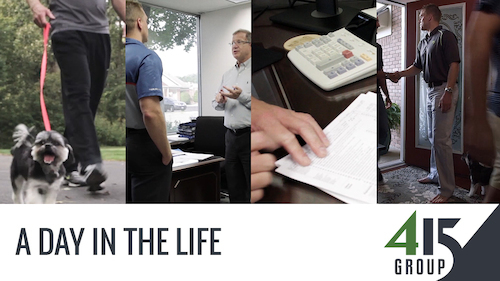 As his company grows, he relies on 415 Group’s accounting expertise and tax planning strategies. 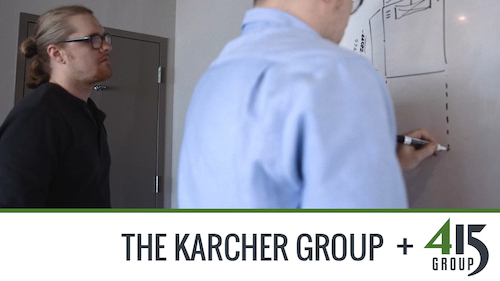 Geoff Karcher, president and CEO of The Karcher Group, shares how 415 Group is more than an accounting firm for his digital marketing agency — they’re a team of trusted advisors who understand his business goals. Lauren International President Kevin Gray says that as a strategic partner, 415 Group goes beyond accounting and audits. They guide them towards continuous growth each year. When it comes to accounting firms, bigger isn’t always better. Lauren International President Kevin Gray says unlike the “Big Four” firms, 415 Group offers the personalized care and responsive service that his company values. What’s in your company’s DNA? Lauren International President Kevin Gray describes 415 Group as “a perfect match” in terms of ethics, values and principles. Lauren International President Kevin Gray says his company relies on the expertise of everyone at 415 Group, from partners to associates. 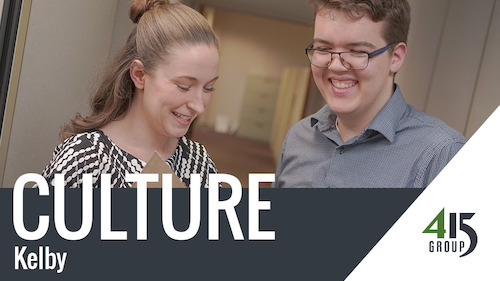 Lauren International President Kevin Gray says 415 Group shares his company’s culture by creating a workplace environment that’s both exciting and rewarding. Lauren International President Kevin Gray says his company has found a strong business partner in 415 Group, where the partners are actively involved in managing his account. Interested in IT services for your business? 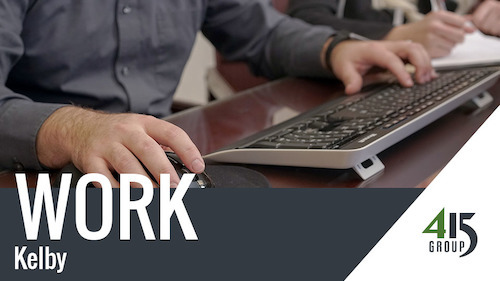 Watch these videos to hear from satisfied clients who rely on us for their IT support. 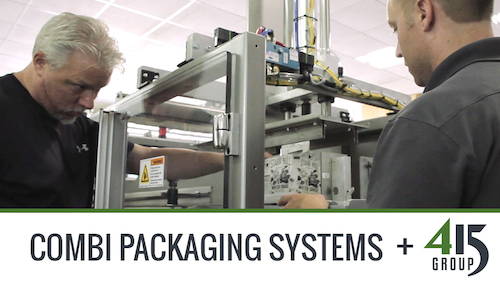 John Fisher, president and CEO of Combi Packaging Systems, shares how his company relies on 415 Group’s IT outsourcing to provide 24/7 support and maintenance for his team. John Fisher, president and CEO of Combi Packaging Solutions says by outsourcing his IT to 415 Group, his company gained access to an experienced team without the hassle or overhead of in-house IT management. For Combi Packaging Systems President John Fisher, 415 Group’s Help Desk has simplified IT troubleshooting at his company. John Fisher, president and CEO of Combi Packaging Systems, says 415 Group assessed his company’s IT inventory and created a solution to fit their growth. John Fisher, president and CEO of Combi Packaging Systems, explains how 415 Group’s managed IT services has helped his company take a proactive approach to their IT.